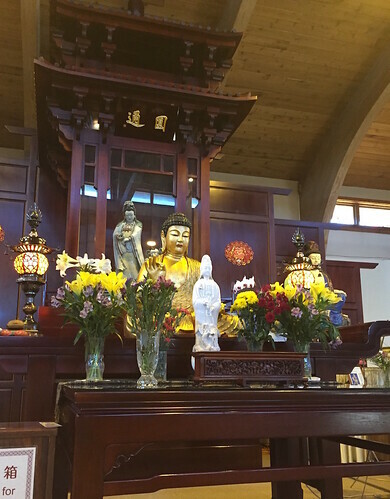 At Chuang Yen Monastery, a traditional Chinese Buddhist monastery in Carmel, New York, I watch the nuns performing the daily evening puja to Guanyin (Wade-Giles: Kuan Yin; Skt. Avalokiteshvara). The Bodhisattva of Compassion, in Chinese Buddhism Guanyin appears in female form. Sunlight streams through the windows of the Kuan Yin Hall, where eight nuns chant the litany and devotees offer prostrations. 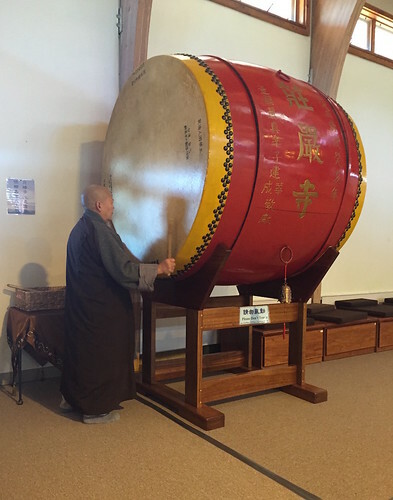 After flowers are offered, a large drum is struck and the nuns file out of the shrine room, one nun remaining behind to chant the closing prayers. While the ceremony takes place in Chinese, I notice some non-Chinese visitors bowing their heads and folding their hands in reverence. This evening ceremony is performed before a porcelain image of Guanyin designed by a leading contemporary sculptor, Professor Yinfeng Yang, and enshrined in a case of wood. Adjacent to the image is another Guanyin statue, this one in wood, dating back to the Chinese Tang dynasty (618–907). 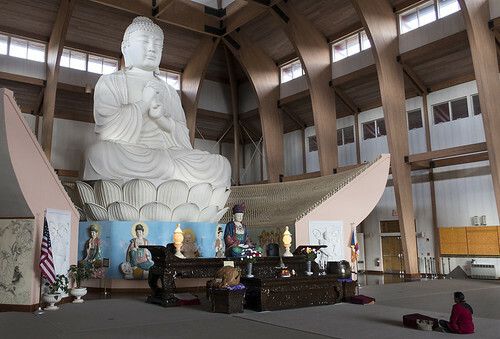 The monastery is also home to the largest indoor seated Buddha statue in the West—a representation of Vairochana, the cosmic embodiment of the historical Buddha, Shakyamuni. The name “Chuang Yen” means “Majestically Adorned,” referring to the “adornment” of the Buddha’s teachings. Initially intended as a donation for His Holiness the 16th Karmapa, the land was purchased in 1975. Covering some 225 acres, it lies just one and a half hours north of New York City. The impeccable grounds were designed by the renowned Chinese American architect I. M. Pei, and are open to the general public to experience nature’s inspiration as well as traditional Chinese Buddhist wisdom. The groundbreaking ceremony for the temple’s first building, the Kuan Yin Hall, was held on 23 May 1981, and the ceremony for the Great Buddha Hall in October 1989, the latter presided over by HH the 14th Dalai Lama. Other buildings were added over the years: a dining hall, the Thousand Lotus Memorial Terrace, the Tai Hsu Hall, the Yin Kuang Hall, and the Woo Ju Memorial Library. Many of the temple buildings are in Tang dynasty style. The monastery is open to the public for nine months of the year, and officially opened for this year’s season on 1 April. People from all walks of life come here to participate in the daily rituals and to take part in Buddhist retreats, four or five of which are held every year. On average, 80 groups tour the monastery per year, totaling some 20,000 visitors. During the winter months, the resident monastics undertake their own retreat. The monastery plays host to Buddhist monastics of all denominations throughout the year. Annual holidays are also celebrated, such as Chinese New Year and Vesak (marking the birth, death, and enlightenment of Shakyamuni Buddha), which is also known as the Garden Party Celebration. Vesak and American Mother’s Day are usually celebrated together. One of the reasons for building Chuang Yen was to collect and distribute Buddhist literature. The Woo Ju Memorial Library has recently initiated the creation of an archive for its many documents, images, and artifacts, and for Buddhist literature in general. According to the monastery, the dissemination of the Buddha Dharma serves to bring about world peace. As per Venerable Bhikkhu Bodhi (president of The Buddhist Association of the United States [BAUS], to which the monastery is home), the gesture of offering free Buddhist educational resources through the library has inspired many non-Buddhists to take up the Buddhist path. One remarkable feature of Chuang Yen is its Prison Program. The United States has one of the highest rates of incarceration in the developed world. All books and supplies for the program are paid for by BAUS, and facilitators in the program, referred to as mentors, donate a few hours each month to this activity. Each mentor must go through an approval process, and confidentiality is stressed. 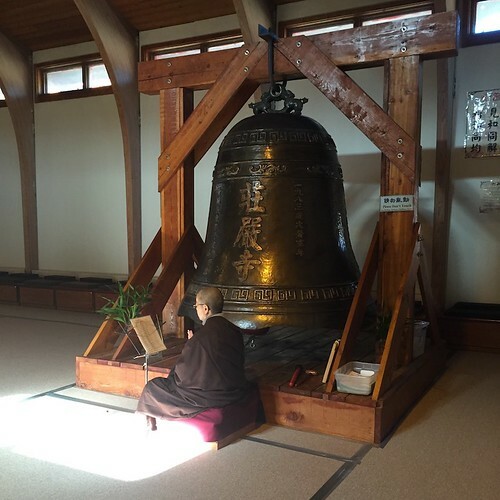 For the monastery, the BAUS Prison Program offers the opportunity to spread and transmit the Buddha Dharma, thus furthering the mission of world peace. The Prison Program also includes a Buddhist literature distribution scheme, to which many Buddhist masters, writers, and practitioners around the world contribute materials. 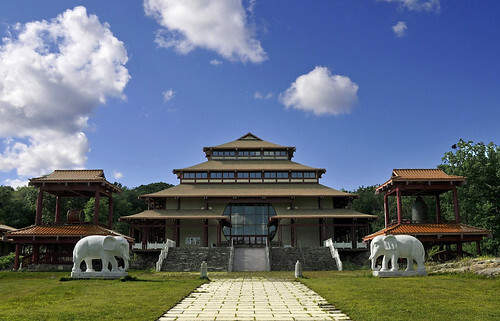 Chuang Yen also has a School Program, through which the monastery reaches out into the school system in the tristate area of New York, New Jersey, and Connecticut and invites the schools to bring the students on tours of Chuang Yen. Special efforts are made to welcome different ethnic and cultural groups. The program is run by dedicated volunteers. Another aspect of the monastery’s compassionate community service includes making donations to senior centers, fire departments, and food banks. With these initiatives, the work of the devotees and monastics at Chuang Yen extends beyond the monastery’s geographical boundaries. The monastery also operates a summer camp for children and a martial arts class for all age groups, to which the general public is invited. And every Saturday a public tour of the monastery begins in the Great Buddha Hall at 12.45 p.m.
BAUS president and Chuang Yen resident Bhikkhu Bodhi is an American monk ordained in the Theravada Buddhist tradition. Originally from Brooklyn, New York, he now conducts classes at Chuang Yen, sees visitors, and operates the charity he founded, “Buddhist Global Relief.” Having spent decades in Sri Lanka and feeling indebted to its people, the Venerable was inspired to found Buddhist Global Relief after the 2004 tsunami that devastated the island nation. An overarching aim of this non-profit organization is to ameliorate chronic hunger and malnutrition throughout the world. In his efforts to investigate the root cause of chronic hunger, Bhikkhu Bodhi discovered that it was necessary in particular to address the challenges faced by women. As a result, Buddhist Global Relief partners with grassroots organizations that serve to educate and empower women and girls. There is also an environmental focus, where farmers are taught ecologically sustainable agricultural methods and urban youth are encouraged to plant and tend vegetable gardens. As well as in Sri Lanka and the United States, the presence of Buddhist Global Relief, an all-volunteer organization, is felt in countries such as China, India, Rwanda, Malawi, Cambodia, Vietnam, Haiti, Bangladesh, and Côte d’Ivoire. It is the last hour of my visit to this sacred and beautiful place. The daily puja in the Kuan Yin Hall has almost come to an end, and the solitary nun is finishing her chanting. A bold patch of sunlight illumines her and the enormous bell beside her. The nun is absorbed in prayer, chanting a Guanyin litany that has imparted its vibrations of enlightened compassion to all beings for centuries. Before I leave, I offer my own prayers for Refuge before the blessed presence of this universal mother. I feel grateful to have had the opportunity to visit this exquisite Chinese monastery, and heartened that it is open to all.